Hypatia was a mathematician, astronomer and Platonic philosopher. She was born in Alexandria, in Egypt, in 370 A.D. For many centuries she was the only woman scientist to have a place in the history book, interesting also as both female and pagan in a Christian environment. Hypatia’s father was director of Alexandria University, and he made sure his daughter had the best education available. She studied mathematics under his guidance and instruction. This was unusual, as most women then had few opportunities to study. 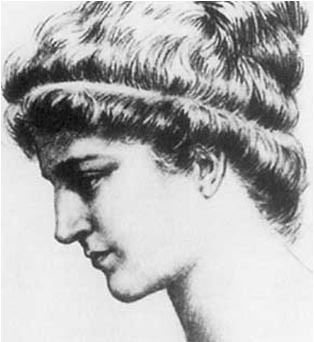 After studying in Athens and Rome, Hypatia returned to Alexandria where she began teaching mathematics. She soon became famous for her knowledge of new ideas. It is remarkable that Hypatia became head of the Platonist school at Alexandria in about 400 AD. There she lectured on mathematics and philosophy. We have no copies of her books, but we know that she wrote several important mathematical works. Hypatia was also interested in technology and invented several scientific tools to help with her work. At the time many rulers were afraid of science, and anyone connected with it was in danger. One day in March 415, a band of Christian monks attacked Hypatia in the street, beat her and dragged her to the church where they cut her with sharp tiles and burnt her body. Charles Kingsley made her the heroine of one of his novels Hypatia, or New Foes with an Old Face. His work revived the legend of a not only intellectual, but also beautiful, eloquent and modest woman.